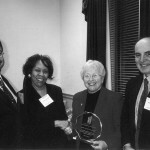 ¶ 2 Leave a comment on paragraph 2 0 Rep. Nancy Johnson (R-CT), received the NCFR Special Service to Families Award. ¶ 3 Leave a comment on paragraph 3 0 Eleanor Clift, contributing editor to Newsweek, gave the keynote address. Lauren Fasig, SRCD Office of Policy and Communication, gave the Capitol Hill orientation; Theodora Ooms, Senior Policy Analyst at the Center for Law and Social Policy and Director of the Couples and Marriage Policy Resource Center, also prepared attendees for Capitol Hill visits. ¶ 4 Leave a comment on paragraph 4 0 Other speakers were: Joan Entmacher, Vice President and Director of Family Economic Security at the National Women’s Law Center; Shawn Fremstad, Senior Policy Analyst for the State Low-Income Initiatives’ Project at the Center on Budget the Policy Priorities; Marilyn Moon, Senior Fellow at the Health Policy Center at the Urban Institute; Deborah Phillips, Chair of the Department of Psychology at Georgetown University; Virginia Reno, Director of Research for the National Academy of Social Insurance; and Eugene Steuerle, Senior Fellow at the Urban Institute. 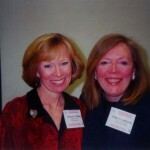 ¶ 6 Leave a comment on paragraph 6 0 Margaret Feldman reported on Washington policy changes with the new Bush Administration. New alliances were forming around stem cell research and patient’s bill of right activists (passed by the Senate). She gave an interesting appraisal of who lobbies Congress—namely, the deep-pockets donors to election campaigns. In the top 10 were AARP, the National Rifle Association, the American Israel Public Affairs Committee, the National Federation of Independent Businesses, trial lawyers, and the U.S. Chamber of Commerce. The differentiations by political party were tipped toward Republicans in the National Right to Life Committee and the National Association of Manufacturers, whereas the Democrats favored the National Abortion Rights Action League and the United Auto Workers Union. ¶ 7 Leave a comment on paragraph 7 0 Marion Ensign Hill, widow of Reuben Hill, passed away on August 15, 2001. 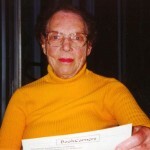 She was a lifelong member of NCFR and often edited Reuben’s manuscripts. 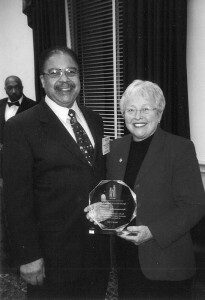 She was an avid supporter of family life education and served for several years on the CFLE review committee. She often entertained NCFR members at her home in Minneapolis. ¶ 8 Leave a comment on paragraph 8 0 The Rev. John J. Johnson, an NCFR member since 1959, passed away on July 2, 2001, in Springfield, MA. 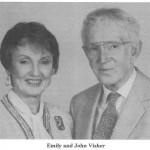 ¶ 9 Leave a comment on paragraph 9 0 Emily Visher, co-founder with her husband, John Visher, of the Stepfamily Association of America, and long-time NCFR member, passed away on October 5, 2001. 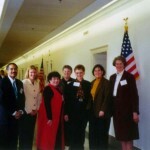 They were recipients of the Distinguished Service to Families Award in 1997.